This presents a substantial tax savings for business owners. To qualify, the X5 or X6 must be purchased (not leased) and must be used at least 50% for business purposes. This deduction applies to both new and used vehicles acquired by purchase, so long as the acquiring taxpayer had not previously used the acquired vehicle, and did not acquire the vehicle from a related party. Please note that the bonus depreciation percentage phases down by 20% per year after tax year 2022 (i.e., bonus depreciation percentage is lowered to 80% for 2023, 60% for 2024, 40% for 2025, and 20% for 2026). For more information, contact BMW of Wilmington at 910-338-1040. *Bonus depreciation percentage phases down by 20% per year after tax year 2022. Consult with individual tax adviser in order to determine eligibility for this potential deduction. 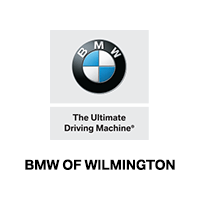 See BMW of Wilmington representative for details.